Let's get to business with Avion, our October 2015 theme release. 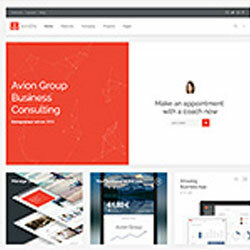 With its tiled layout and overall clean design, Avion provides the perfect base for your corporate website. Two navbar layouts, four custom widget plugins and a number of handy features offer you the flexibility you need to present content that is heavy on typography.